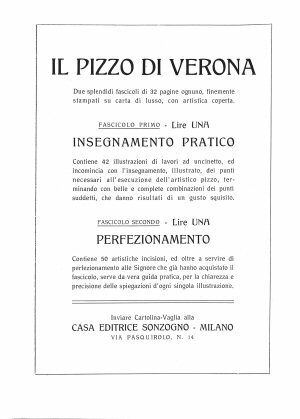 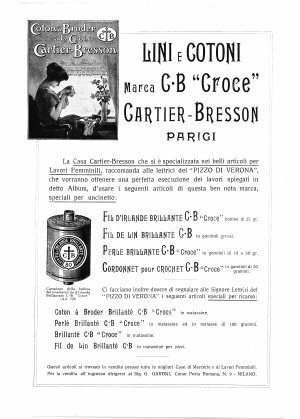 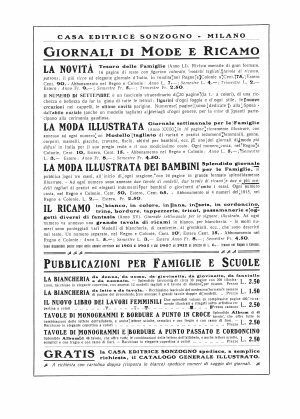 Casa Editrice Sonzogno, Milano, no year given. 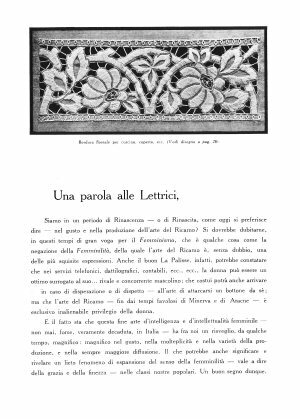 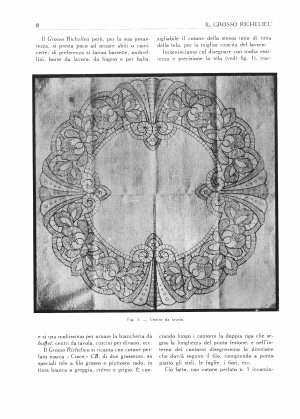 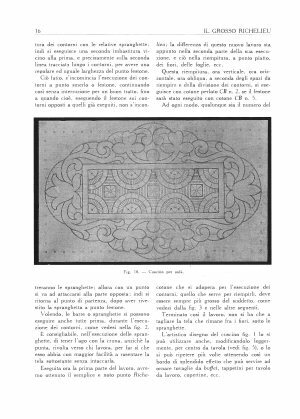 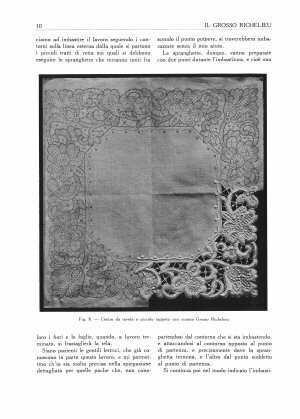 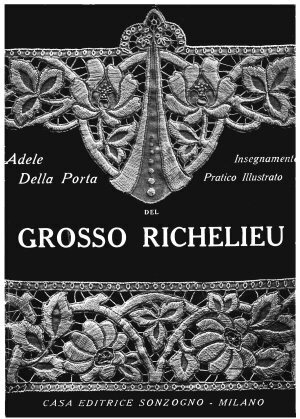 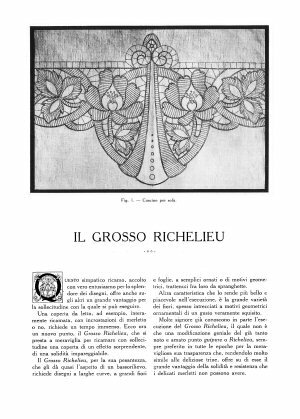 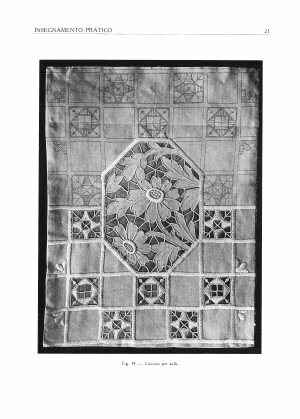 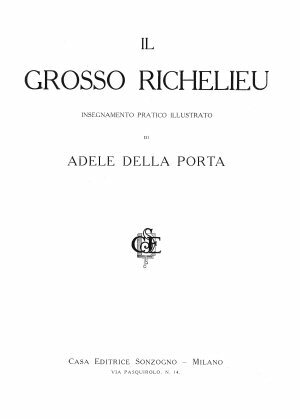 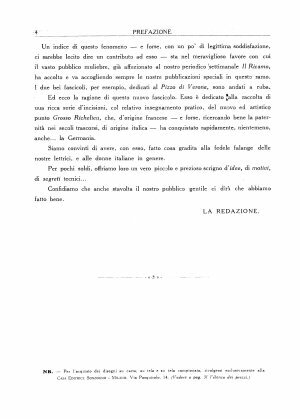 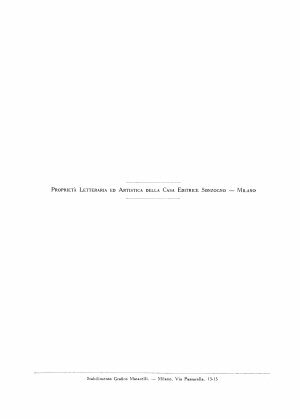 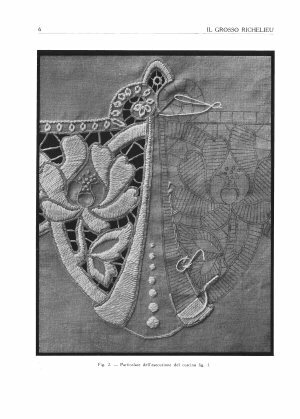 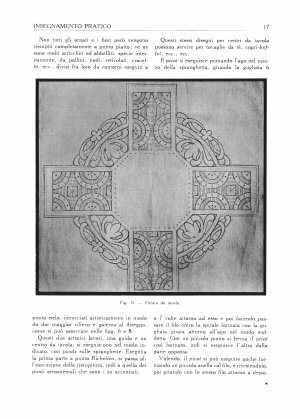 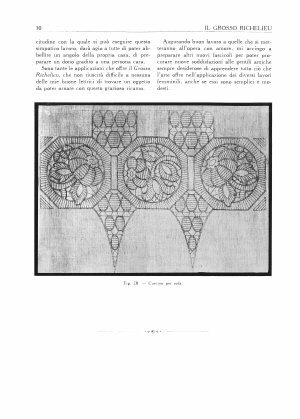 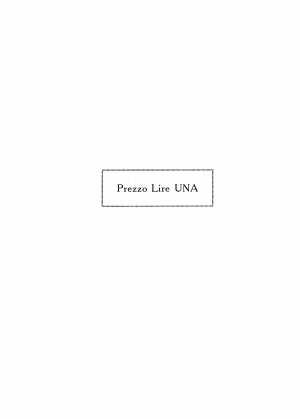 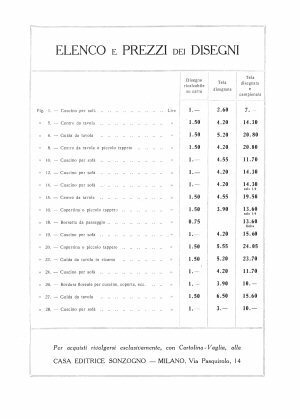 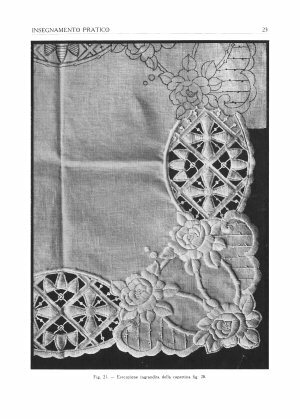 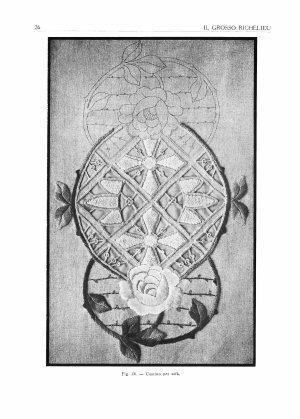 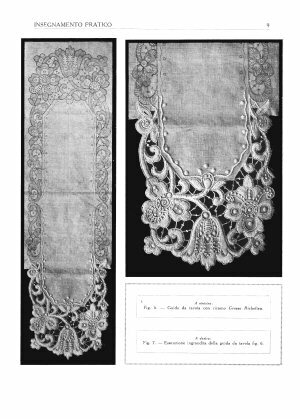 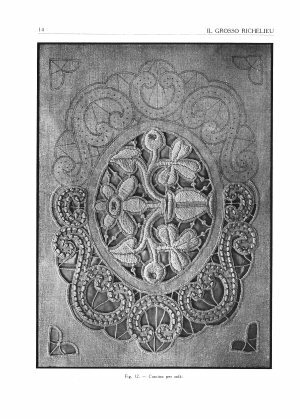 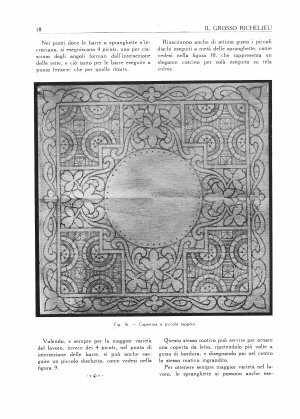 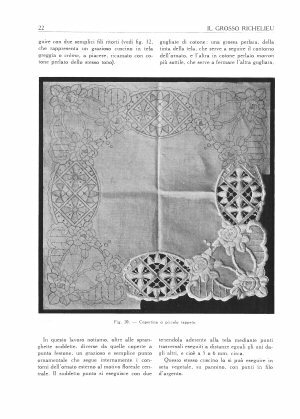 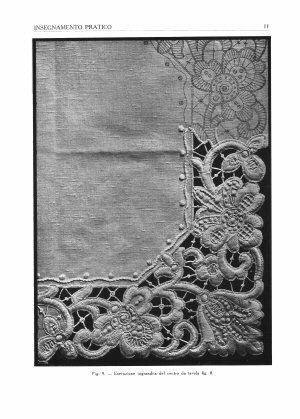 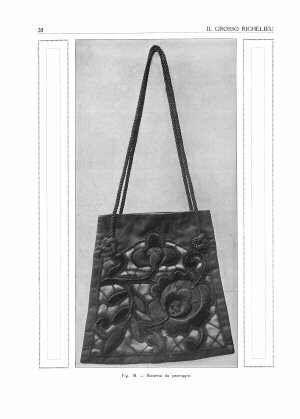 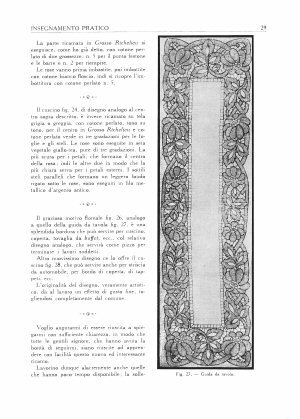 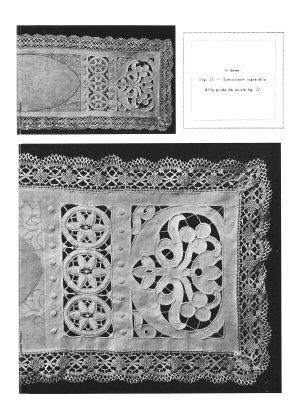 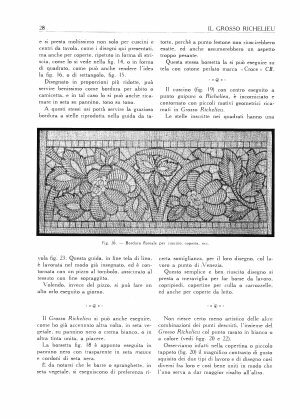 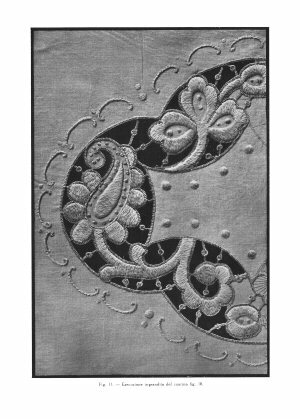 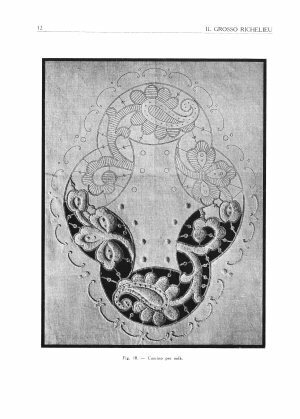 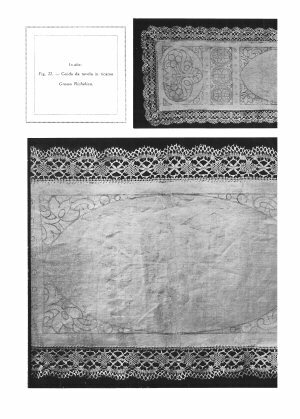 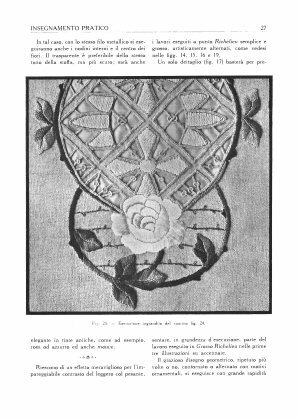 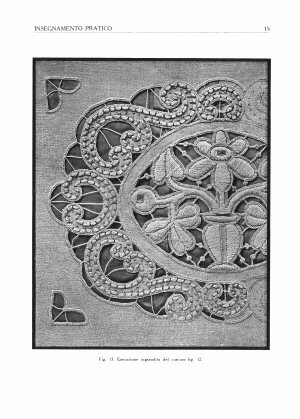 Italian language manual for working Richelieu cutwork, a combination of heavily overembroidred whitework foregrounds, and cutwork backgrounds with picoted brides (ornamented attachment bars). 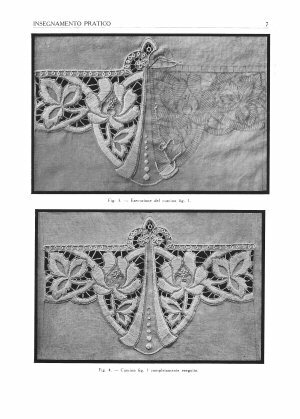 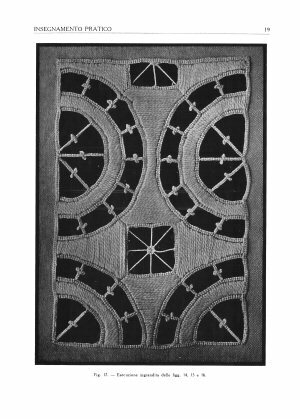 Works shown by photograph in progress, some also given as pattern sketches, with stitch directions indicated.